If you love snow, skiing and cold weather, we have lots of it starting from October to April. You’ll need wool underwear though and good pair of winter boots! Our leadership team is awesome. We are so blessed as a base with experienced leaders who walk in passion and wisdom! You will get to travel around Norway and then others parts of the world for your outreach phase. Our base has outreach focuses in Europe, Asia, Africa and the Middle East. We value the Word of God and its impact in our lives. All of our DTS schools spend time learning how to study, understand and apply the truth of the Bible. We are a multi-cultural and multi-generational community at YWAM Grimerud. Which means everyone from everywhere is welcome here. We love diversity of age and cultures. Our entire base is located on a fully-operational farm. Our missionary farmer, Nils Andreas runs the farm operations. He is a second-generation YWAMer and part of the core leadership team. Order some of the best coffee in Hedmark from our very own cafe, run and operated by YWAM Grimerud staff. The cafe is located in our main building on the first floor and is the favorite spot for community hangouts and lots of events. If you love bread, butter and cheese. This is the place for you! Here in Norway we have lots of tasty breads and cheeses. Our base is over 4o years old with well established ministries that focus on family, youth, prayer, worship, publishing and missions. 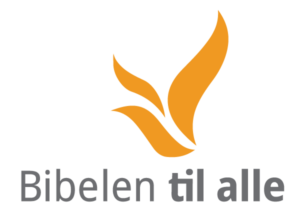 We also are the lead base for the nine YWAM bases throughout Norway, with dozens of close connections to bases throughout Europe that we have helped pioneer. Interested in coming and doing a DTS here at YWAM Grimerud? We would love to talk with you about this exciting opportunity! God said, I need someone who would say yes before they were asked… someone who would go to distant islands, barren deserts, inner cities, closed nations, next door neighbors, and prestigious universities to reach the unreached. Who would hike any mountain, and endure any obstacle, because how will they believe in Him who they have not never heard? How will they hear unless someone preaches, and how will they preach unless they are sent? So God made the missionary. This entry was tagged I Am a Missionary, Missionary, UIO, YWAM. Monica was born November 1, at 18:20 pm. He weighed 7.9lbs/3.6kg and is 19.6inc/50cm. Alina was admitted at the hospital at 18:00 pm and Monica arrived 20 min later. We thank the Lord for a natural and healthy birth. Meet our youngest son, Robert! Robert was born Wednesday, August 31, at 17:15pm. He weighed 7.7lbs/3.5kg and is 19.6inc/50cm. Alina was admitted at the hospital at 9:00am and Robert arrived at 17:15pm. We thank the Lord for a natural and healthy birth, and for Andrew and David adjusting well to having a brother. Reserve NOW your spot in the next DTS starting 12 September 2016! Why wait? Also, check out our brand-new DTS flyer and webpage. On the 28th of March, 2015, we celebrated what God had done in Constanța through YWAM Constanța in the past 15 years and we also celebrated the great future that is to come. On the same day, we also honored our former baseleader, Rune and Irene Sæther, who had served YWAM Constanța the last 10 years. They are stepping down their leadership role and become the elder of our YWAM Constanța family. Click here for more action of the day! It was a great start to our beekeeping course today! Many thanks to Brett Nolan for coming all the way here from Georgia in the USA with his family to show us how it’s all done! 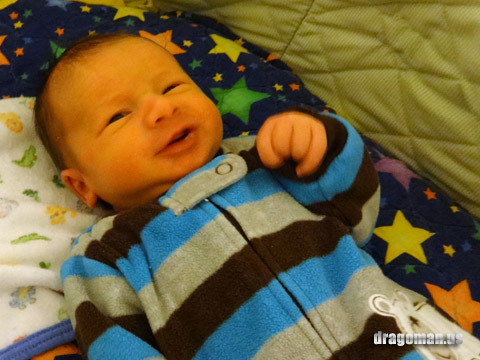 Meet our youngest son, David!